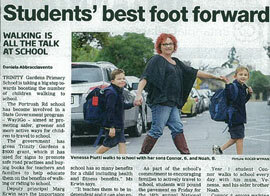 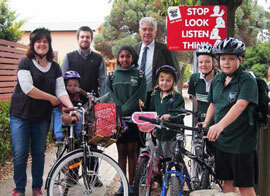 The Woodville Primary School community had ongoing concerns about their children’s safety when crossing Port Road. 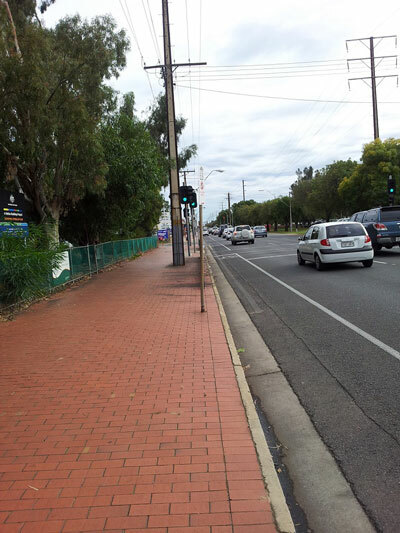 Despite having a Pedestrian Actuated Crossing, community perception was that safety for children and their families had not improved even though the crossing had been upgraded and monitored over a number of years with significant input from both the local council and DPTI. 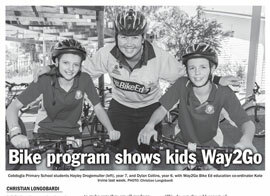 Way2Go funding enabled the school to employ a local artist to work with the students and community. 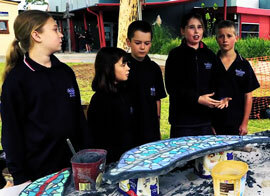 Students and teachers worked with the artist as part of their classes. 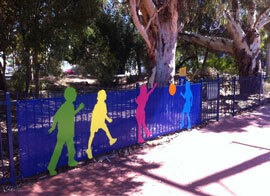 The work has just been installed and celebrated in the community. 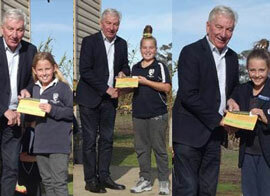 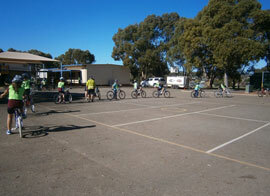 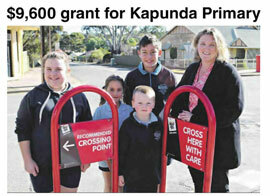 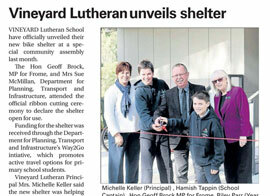 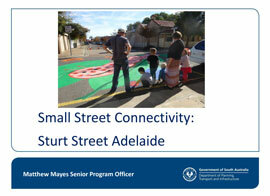 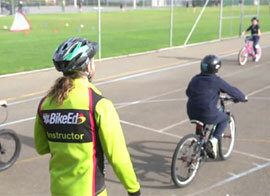 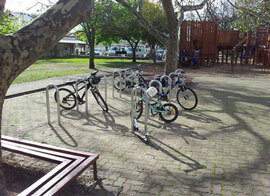 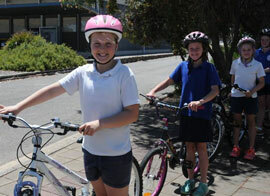 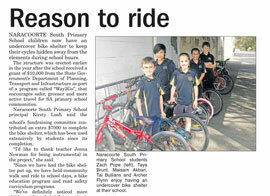 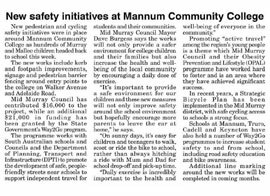 In 2012 The City of Charles Sturt became a Way2Go partner in support of safer, greener and more active school journeys. 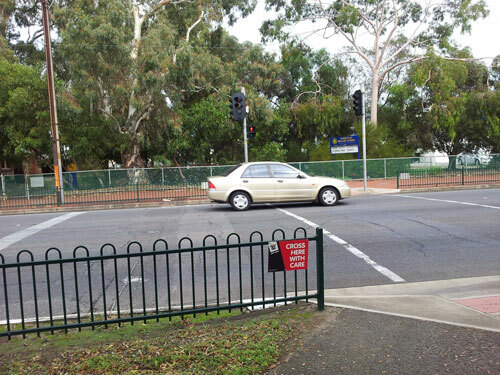 A keen and active group of Woodville Primary School parents still saw the crossing as a major impediment to student independent travel. 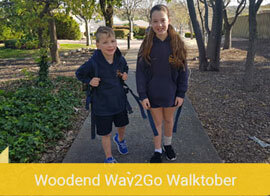 The Way2Go team was invited to meet with the school governing council and Woodville Primary joined the Way2Go program in April 2013. 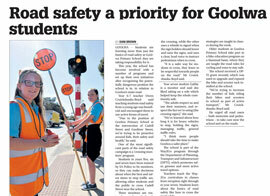 The school community set about to exploring the issue of school travel in more depth one of their findings was that westbound traffic on Port Road, along with cars entering Port Road to travel west at a T junction, were unaware that a school and the nearby crossing. 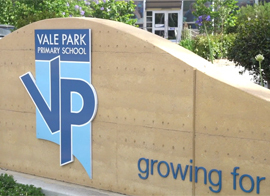 The boundary of the school fronting Port Road is heavily vegetated so the school is not immediately seen. 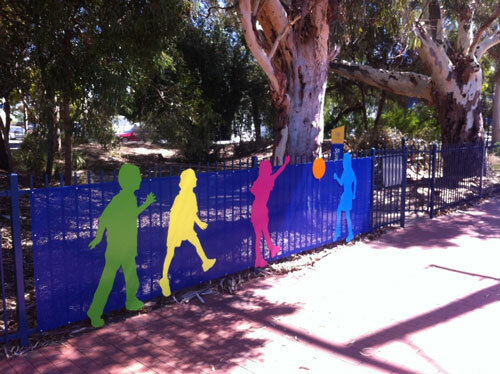 This prompted the school to look at less conventional ways to alert the public to the crossing and to engage the school community in the production of some highly visible public art that would alert motorists to its presence and the need to drive accordingly. 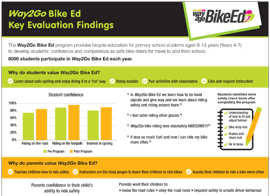 This project became an integral component of the school’s School Travel Plan.